1. Be concerned about chemtrails…. worry is useless to the cause. 2. Marijuana will likely help detox the brain from chemtrails… have you heard of someone getting brain cancer or any cancer from marijuana… no because it is not possible… it detoxes the body, rather than adds toxic load. 3. Love is the best antidote to chemtrails… when you worry about chemtrails, you will attract them… if you live loving from the heart… anything that is not love, will become ever more repellent from you… like attracts like… on the other side, if you are big into death… violence… gore…control of other human beings… then so too shall you be controlled…. by chemtrails or anything… it is called, karma. 4. 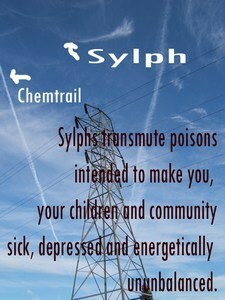 I have a blog that documents that the sky elementals called SYLPHS, are neutralizing the sky toxins… most of it… they saved our planet FROM A BIG MULTI SPECIES DIE OFF… so show some respect and meet the SYLPHS. Work with them… http://sylphsandufocloudships.wordpress.com/ they have been here since earth formed… so who is new in the neighbourhood hmmmmmm…..
5. Educate yourself about anything that seeks control over you… but do not WORRY about it…. instead join with the solution which will be from a higher spiritual vantage point, from whence the problem came. 6. Hold a better vision… if something in this world, is not to your liking… do not whine, ALTHOUGH TALKING CAN BE RATHER HELPFUL… instead offer your better solution, and share it… and be rewarded by the law of abundance for your contributions… watch for this law to kick in more and more… as the old world crumbles into dust. In the old earth… if you did bad things, you got rich…. that world is crumbling… the new world, is about love, wisdom, peace, truth, unity and more… so relearn those qualities further, if you feel it is needed… we are after all UNLIMITIED BEINGS FOREVER EVOLVING…so no big surprise here, that we never stop learning. 7. Work more consciously with our ET family, who are OBVIOUSLY IN THE SKY RIGHT NOW, through spaceship sightings, flashing stars, cloaked cloudships and more… the sky is starting to get rather busy. Okay… so to not worry about something, does not mean you do not care, or do not take action. Be heartful… this is where worry does not exist… if you are living focused in your mind, you probably have many hidden fears and falsely believe that you do not.